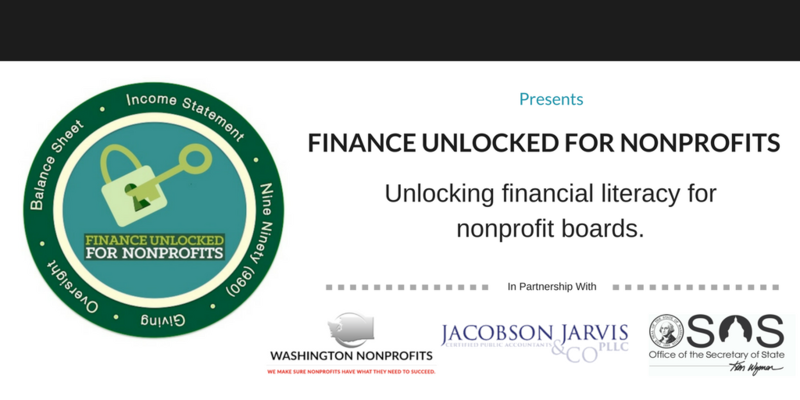 About Finance Unlocked for Nonprofits (FUN): Finance Unlocked for Nonprofits covers the five main topics that board members need to know about nonprofit finance: Balance Sheets, Income Statements, IRS Form 990, Giving, and Oversight. It tells you what to look for in your organization to grow your mission and protect your assets. Find out what nonprofit finance has to do with BINGO, and play BINGO with your board to cement your knowledge! Healthy organizations know where they are financially at any given time. A Balance Sheet is a report showing where you stand financially at a point in time. It is also known as a Statement of Financial Position. Nonprofits plan for the future and then check reality against this plan, comparing the story of what they are hearing with what the numbers really tell them. An income statement is a financial report showing operating results over a specific time period. It is also known as a Statement of Activities or Profit & Loss Statement (P&L). The IRS Form 990 – an annual required tax filing – highlights a nonprofit’s mission and compliance with federal regulations. It is your most public document, available on websites and viewed by potential donors. Healthy nonprofits make use of a wide range of funding sources and are mindful of the differences in accounting, donor expectations, and restrictions. After all, money fuels nonprofit work, so nonprofits needs to think about what fills their engines. Nonprofit board members are ultimately responsible for the effective, responsible use of a nonprofit’s resources. Oversight includes “controls”, the policies and procedures designed to prevent fraud and assure accurate reporting of the affairs of the organization. The Finance Unlocked for Nonprofits Webinar, presented by Erin Welch and Nancy Bacon, covers all five sections.